If you're looking for a new or used truck in the greater Ames, IA, Des Moines, Ankeny, Marshalltown, or Boone, IA area, we want to invite you to join us here at Lithia Nissan of Ames to check out our great selection of new and used Nissan trucks. Whether you're in need of a rugged and heavy duty truck to make even the toughest of jobs look easy, or a midsize truck for all of your adventures and do it yourself projects, we have the selection you need, and our TruXperts will help you find the Titan or Frontier model that best fits your lifestyle and budget. Our expert staff know Nissan trucks like the back of their hands and can help you find the model that's right for you no matter what your driving style or budget is. 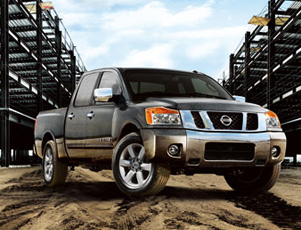 For rugged power and enhanced comfort, the Nissan Titan offers the best of both worlds. Equipped with a durable and rugged build, made to provide you with the towing and hauling capacity that you need to get even the hardest of jobs done with ease, as well as a comfortable cabin to relax in after a long day of work, the Titan provides you with all of the things you need most out of a truck with the added comfort you can only get in a Nissan vehicle. The Frontier is designed to provide drivers with an affordable and highly versatile midsize truck, great for rugged adventuring and all of your do it yourself projects. No matter what your needs are, our TruXperts will help you find the right new or used Titan or Frontier model that's right for you. 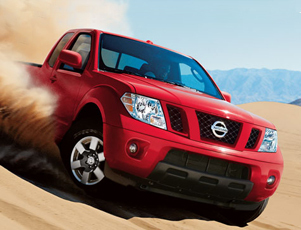 Once you've found the Nissan truck of your dreams, our experts in the finance center will work with you to find the customizable loan or lease option that works best with your personal budget, so you can drive home in the Nissan truck that's right for you for the most affordable price possible.